We make flying safer and more efficient with the highest-quality, longest-lasting, and most affordable products and solutions available. FreeFlight Systems designs, manufactures, sells, and supports avionics systems that improve the safety, efficiency and affordability of flying. We specialize in technologies and solutions that bring the benefits of the NextGen airspace transformation to all segments of aerospace. We are known for the quality and reliability of our products, the flexibility and compatibility of our solutions, and our commitment to long-term client satisfaction. Our modular and scalable products can be used as stand-alone devices or as fully integrated avionics systems. Markets served include General Aviation, Business Aviation, Special Missions, Government / Military, Airline (regional / commercial), Helicopter and OEM. We offer solutions for fixed-wing aircraft, rotor-wing, unmanned aerial vehicles, and airport infrastructure. Product reliability and client satisfaction are at the core of our company’s mission, reputation, and day-to-day business. Our products are designed and manufactured in the United States to rigorous quality standards. We strive to maintain open technology standards to maximize affordability and compatibility with existing onboard systems. We design our solutions to be upgradable and future-proof as technologies advance. We also offer long-term product support, serving our legacy products that have been in continuous active service for nearly 50 years. 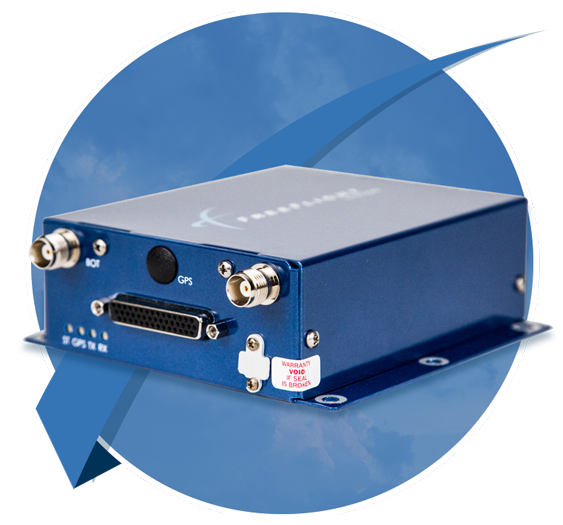 Certify an airborne WAAS/SBAS GPS receiver. Certify a rule-compliant ADS-B Universal Access Transceiver (UAT). Gain Supplemental Type Certificate (STC) installation approvals for a certified ADS-B UAT. Receive FAA approval for an ADS-B UAT for airport ground vehicles.